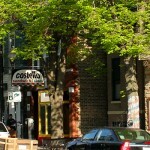 Roscoe Village, located about five miles north of Chicago’s Loop, is bordered by Addison, Belmont, Ravenswood, and the Chicago River to the west. This quaint neighborhood offers a less crowded feel than many others. Roscoe Village was not overdeveloped with condos, and its residents appreciate the single-family homes and two flats that make up most of the housing. River North offers some of the best dining experiences in the city, with new restaurants offering exciting cuisine, alongside established The two dynamic commercial sections of Roscoe Village are on Belmont and on Roscoe Street in the middle of the neighborhood. Here residents have plenty of small local shops and restaurants to visit. The rest of the area contains tree-lined streets and homes with yards big enough to accommodate landscaping and gardening in many cases. The beautiful tree-lined streets of Roscoe village are filled mostly with two and three flat buildings and single-family homes. Both buyers and renters will find opportunity here. The relative lack of larger residential buildings is part of the charm of the neighborhood. Roscoe Village is well connected to Chicago’s public transit system. The CTA Brown Line runs through the area, and residents can catch the train at the Paulina stop and be in the downtown loop quickly. Several bus lines also give access to the rest of the city, including #77 (Belmont) and #11 (Lincoln).